Is your bedroom feeling a little... blah? 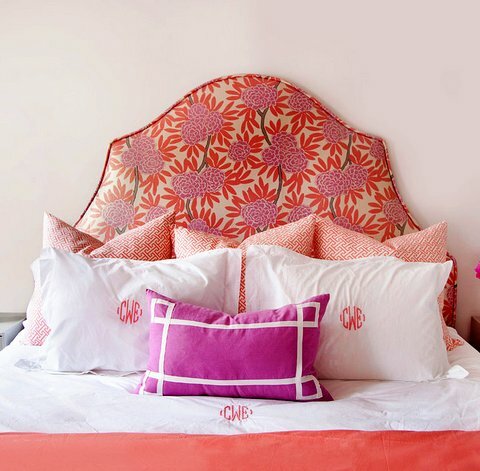 There are a few good ways to spruce it up, but one of my absolute favorites is to use (drum roll...) pillows! Check out these awesome ideas for how to use accent pillows in the bedroom. Create a plush layered look by using pillows with trims and decorative fabric, start with larger pillows in the back and smaller neck pillows in the front of your arrangement. Stay within the same color palette but different prints to create a lavish layered look. Accent pillows of rich colors in jacquard or brocade, silk tassels, and ornate embroidery will really complete the look of an opulent room. To choose accent colors, you can pull colors from your window treatments, luxurious throw blanket, or ornamental rug. Accent pillows can help you bring grand and extravagant colors to your room or bed that might otherwise be hard to find in pieces of furniture. Such strong colors might come off as too overpowering when used as wall paint or carpet, but as throw pillows they make a bold statement. Tactile contrast brings dimension to a room. Think about a mohair pillow on your cotton bedspread, or mixing silk with cut velvet or something shimmery— these contrasts are not only attractive but they also offer traction, so pillows don’t slide off your bed or chair. Dressing your accent pillows up in bows or ribbon just oozes femininity and comfort. It also employs some of the other characteristics mentioned, such as textural contrast and dimension. This is an easy way to achieve a luxurious look with your own personal touch. 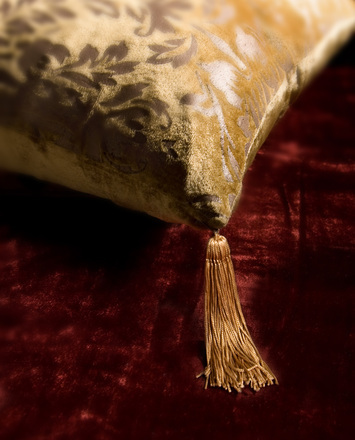 Personalizing your space by using pillows that adorn your initials or some kind of insignia give an impression of grandeur, similarly to how affluent families or royalty put their crest on everything. 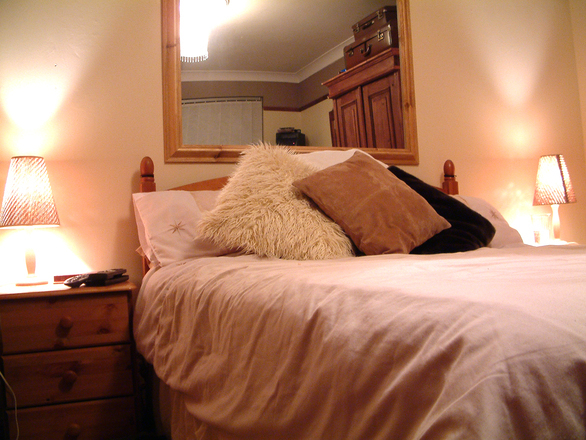 Be aware though that this look can give the impression of a hotel room if some colors aren’t mixed in. Don’t leave your chairs hanging without a little embellishment of their own. A naked chair is just a missed opportunity to making your space feel more inviting and a true place of leisure. Avoid using the same color or pattern as the chair; you want something that stands out. 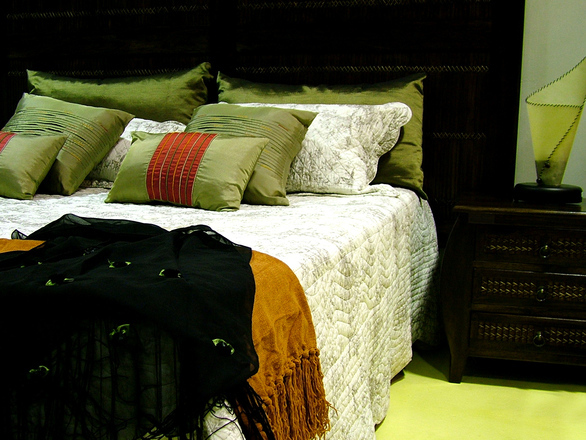 Using odd numbers such as 3 or 5 instead of an even pair will give your abode a modern edge to it. Make sure the edges are nice and crisp, and not frilly or floppy. Modern design works with straight lines. When it comes to color, black and white are always a safe bet, and for patterns solid blocks or large stripes are best. 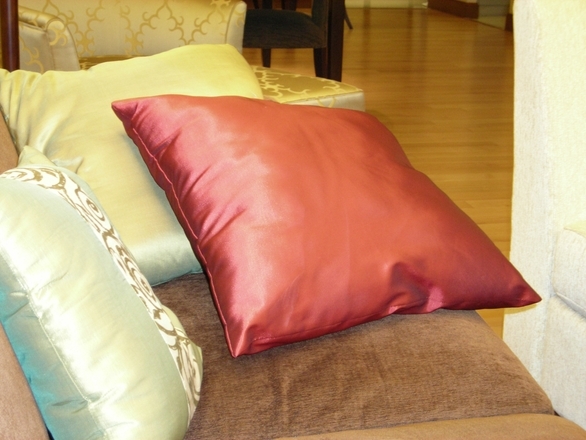 Nothing says luxury like silk pillows adorning your room. Also, the tightly-woven and smooth fibers of silk make it an excellent material for skin and hair, so you might be tempted to take a nap with one! 10. Address The Whole Room. Think of all the pillows that make up a room as a big family. The pillow on a chair doesn’t have to match the bunch on your bed or sofa, but if it relates in some way—such as color palette or style, then the space feels tied together and polished. Window seats are prime pillow territory, so if you’re lucky enough to have one, it's the perfect place to dress up with some plushy accents. 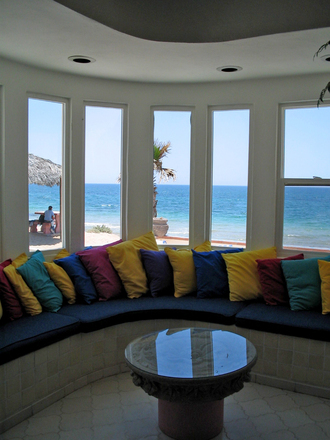 Your pillows will create an extra cozy spot while curled up with a book, daydreaming, or gazing out your window. 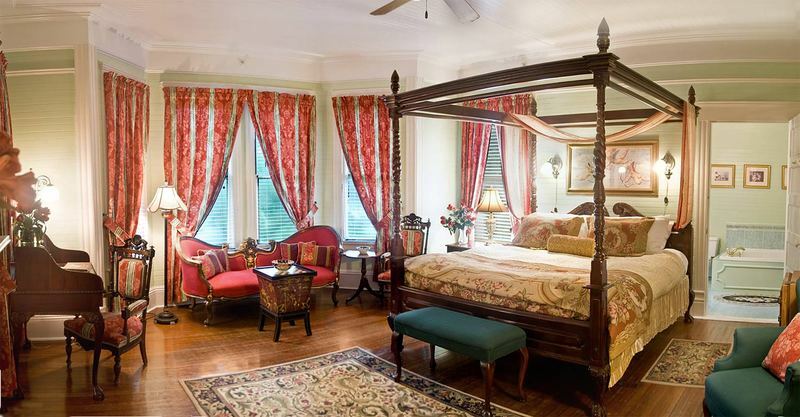 A wilted old pet bed might be bringing down the pleasant look of your room. Instead of keeping a drab colored pet bed, trying replacing it with an over sized pillow in a shade or print that adds character to your room. Not only will it look better, but your furry companion will get a taste of extravagance too. If you’ve never rested with a bolster under your knees, then I highly suggest it! Living in the lap of luxury means comfort, and while pillows play a big part in achieving a desired look, you want to make sure you can use them to kick back, too. 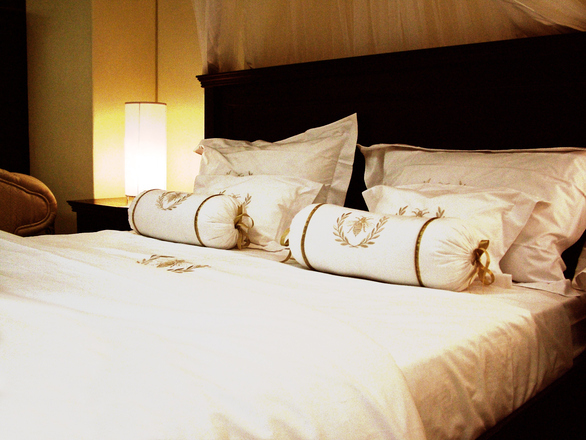 What is it about those round, gathered pillows with the button in the middle that make us feel fancy and pampered? We’ve talked about textures and colors, but shape is another creative element in designing for comfort. 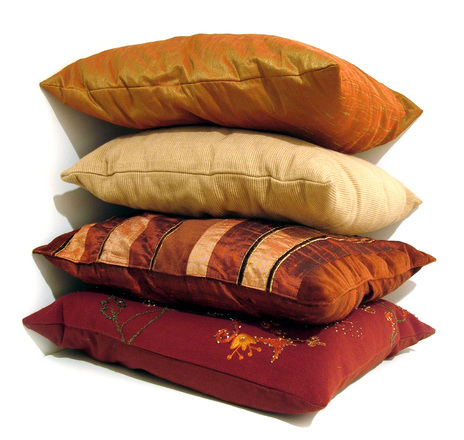 Using round pillows add curves and softness to an otherwise very square arrangement. These aren’t used nearly as often as they should be, which is a shame because they can be found in numerous shapes and beautiful colors and prints. Floor cushions are so inviting and give off a leisurely vibe. If you like to meditate or relax in the floor, then you'll love adding one to your room.